When the sun shines at the Nürburgring, it is as though the Great Speed God himself has returned to bless those brave or stupid enough to worship at this, his most resplendent of temples. It is a joyful place, like some other Eden; an earthly paradise, teeming with motorcycles and sports cars of every genus, some dozing quietly in the parking bays, others straining at the leash, like stallions in a stall. Yes, the ‘Ring is glorious and wondrous, like Goodwood on a sunny afternoon, or the Island in those tortured hours before the Senior begins. 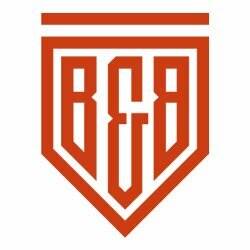 This is partly to do with the inescapable history of the Nordschielfe, the North Loop of the ‘Ring and what most people mean when discussing the circuit. Heroism, glory and tragedy define the place; they build up like strata and create a deep and immovable foundation, upon which the ‘Ring stands like a monument to a lost age. It is a history that seems to seep from the forests and villages that surround the circuit and permeate deep into the fabric of the environment. It gets under your skin in a way that only something truly base and elemental can; that first lap is like a hit of pure heroin, sickening and painful and grotesquely addictive all at once. No right-minded individual would ever choose to repeat the experience, such is the horrible inevitability of where it will lead. And yet there are those who thrive on the high, who can tap into that transcendental energy and soar to heights unimaginable to those less inclined to push their luck with every twist of the throttle. Fangio at the ‘Ring in ’57; if you don’t already know the story, look it up. 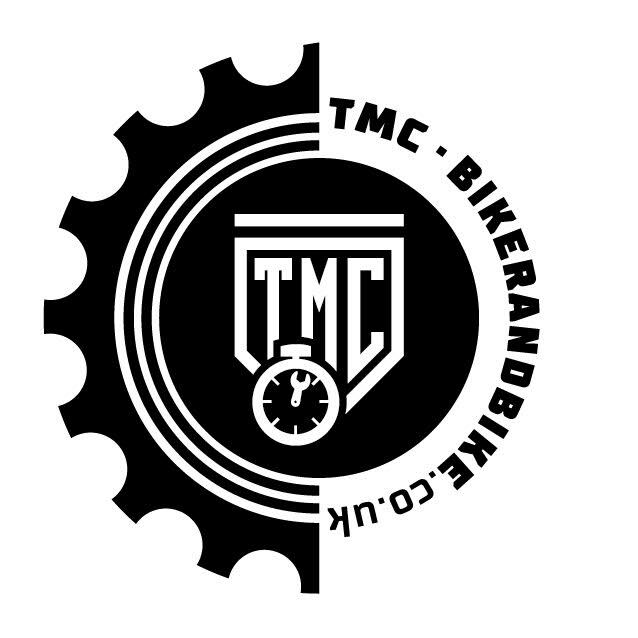 It is why we still flock to that place, most of us keenly aware that we could ride motorcycles or drive cars for another thousand years and never glimpse the brilliance of men like him; but aware too that as we grind our knee sliders out of Bergwerk we are momentarily a part of his court. Ah, drugs, speed, motorsport; why do these loony notions trouble me when I should be deep into REM sleep, rejuvenating the body for another day raising twins destined for a career in demolition? I haven’t been back to the ‘Ring since my boys were born two years ago; I miss it like one might miss that drinking partner who always started the fight, or the annoying ex who made up for everything in the bedroom. Perhaps it is not a place for fathers; you need to be very selfish to enjoy the ‘Ring properly, because it does not nibble at your toes when you get things wrong; rather it tears straight through the bone and if it spits out anything at all, it is only because too many crash helmets cause bad indigestion. 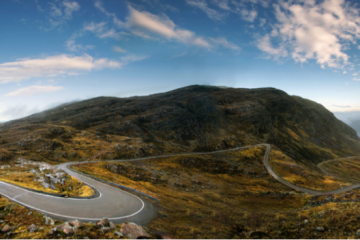 For motorcyclists the ‘Ring is so extraordinarily dangerous that it should be part of the CBT. That would sort the wheat from the chaff and ensure only those serious about a life on two wheels commit to further training. If you are learning the track and slow, you will likely be killed by faster traffic; if you have survived the first eight or ten laps and are quick enough to avoid being squashed like snails in a cattle run, you will either miss-judge a corner and hit a barrier hard, or go down on someone else’s oil and hit a barrier even harder. Either way, you will be billed for any damage to the barrier, the use of the recovery truck and track closure time. 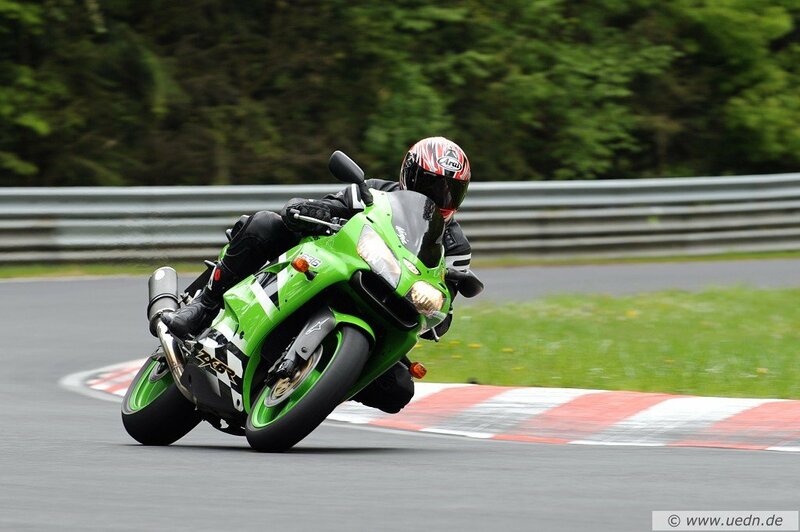 There is no safe way to ride the ‘Ring; that is part of its queasy charm. But make no mistake, if you are reading this then you should visit the ‘Ring; it is magical; just make sure you have insurance. Once you’ve made your way across the channel, the journey to the ‘Ring is pretty straight forward, if dull and uneventful for the most part. Just follow the E40 towards and around Brussels then carry on past Liege (spelt Luik on all the signposts). Exit the E40 at junction 38 and pass through Eupen before picking up the N67 towards Monschau. After a five mile bounce along one of the worst little roads in Europe you’ll finally escape the urban sprawl and begin a much more enjoyable ride up towards the Eifel Mountains. Now you can start to have some fun. The dull, industrial, motorway-laced landscape gives way to flowing, serpentine roads threading through lush green pine forests. Countless fast sweeping bends beckon you in at silly speeds, the trees and scrub and blackness of the forest a faintly perceived blur in the peripheral vision. Easing off now and again as you pass through quaint German villages – Monschau, Schleiden, Blankenheim, nodding to the schoolchildren pointing from the footpaths – then back on it. Finally, with a grin the size of the Karussell across your face, you peel off into the tiny hamlet of Nürburg, ready for a beer and a pizza at the Pistenklause. The pilgrimage is at an end; tomorrow comes the epiphany. The little village of Nürburg has numerous good hotels which serve great food and strong beer. I used to stay at the Motorsport Hotel, where the staff are friendly and helpful and you can spend a wet morning admiring the wonderful photographs that line the hallways (and the BMW on the staircase). But if you fancy something to do in the evenings, consider staying in the larger town of Adenau, about 10 kilometres away. Sliders Guest House, about 20 miles from Nürburg, is very popular with bikers; I’ve never been but apparently it’s well worth checking out. 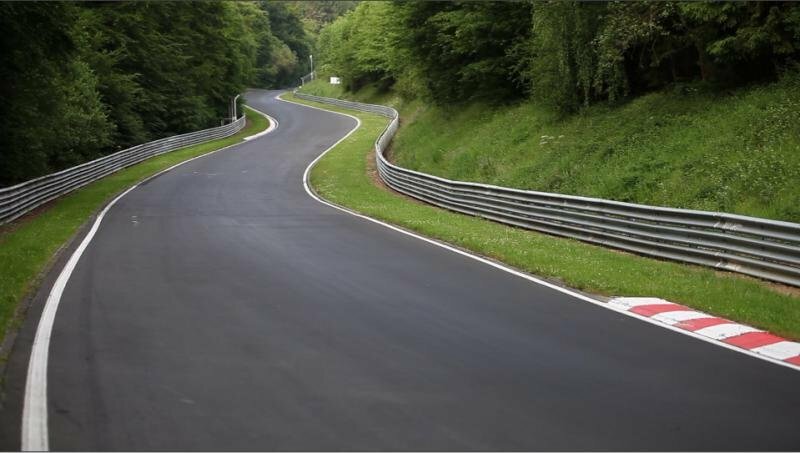 The ‘Ring is usually open to the public between 5.15pm and 7.30pm weekdays and all day weekends, but check the official website regularly because the opening times vary significantly from April to September. From experience, I’d recommend the shorter evening sessions over the manic weekends, especially if you’re new to the track; you can concentrate on your own lap without worrying quite so much about what’s looming in your mirrors. And while a two-hour session may not seem very long, given you’ve just ridden all that way, you’ll comfortably manage three or four laps in that time, which is more than enough for a first day. The bridge on the way to Adenau: come out of the Nürburgring car park and take the first exit at the roundabout, then follow the road for about a kilometre until it ends in a T-junction. Turn left and then follow the road for about five kilometres. At the T-junction turn right and follow this larger road for about a mile and a half until you come to a car park and café on your right and another restaurant on your left. You’ll see a big mural of some motorbikes next to a bridge and steps leading up alongside it. 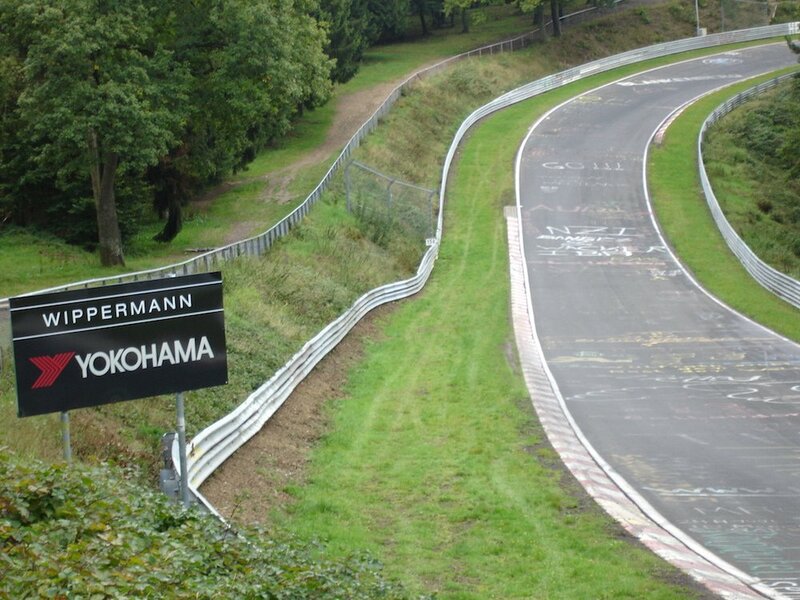 The bridge is actually carrying the Nürburgring over the road, so head up those steps for a great view of the track. Alternatively, head round the back of the café and you’ll be within spitting distance of Ex-Mühle. Pflanzgarten: from the ‘Ring car park, turn right and follow the road for about a kilometre until you reach the T-junction. Turn right and almost immediately you’ll come to another T-junction where you’ll turn left (go right for the famous petrol station that sells all manner of ‘Ring memorabilia). Having turned left onto the main road, follow it for about three-quarters of a mile before taking the first exit on the left (signposted Hohe Acht – if you’re staying at the Berghotel you’ll be going this way anyway). After about half a mile, pull on to the unpaved car park on your right and you’ll find yourself opposite the Pflanzgarten section of the ‘Ring. This is a great viewing spot as the jump just before the sweeping right hander can really unsettle a car or bike. From here you can walk all the way around to the infamous Karussell, but be warned, it’s quite a way and the ground is pretty rough. Brunchen: very popular place to watch; follow the above directions to Pflanzgarten, but carry on for another half mile or so; there’s a large dusty car park on your left which offers great views of this spectacular corner. Nope, you can’t read any of message on the road. You’re trying to stay alive. • Read the rules of the track, which you’ll find near the ticket office in the ‘Ring car park. They’ll tell you what the flags mean, that you need to indicate and pull to the right to let faster vehicles overtake, and basically not to be an idiot. • If you’re on a bike and it’s raining, has been raining, or looks like it might rain in the next eight to ten minutes, go back to your hotel, change out of your leathers and go to the bar. It isn’t worth it. • Put the emergency number into your phone: 0800 0302 112 (correct at time of writing, worth double checking though). • Make sure your vehicle’s safe, not only for you but for everyone else. In particular, check that it isn’t dripping fluids. Ignoring a slight leak could leave the guy behind you in hospital, or worse. • Enjoy yourself. 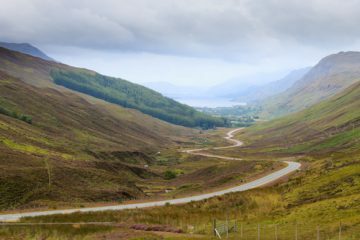 The best way to do so, at least on your first visit, is by riding or driving safely, soaking up the local food and drink and enjoying the beautiful scenery when the track’s closed. Part of the ‘Ring’s appeal lies in its location, utterly removed from the banality of everyday life. You don’t need to be doing 150mph to appreciate that. 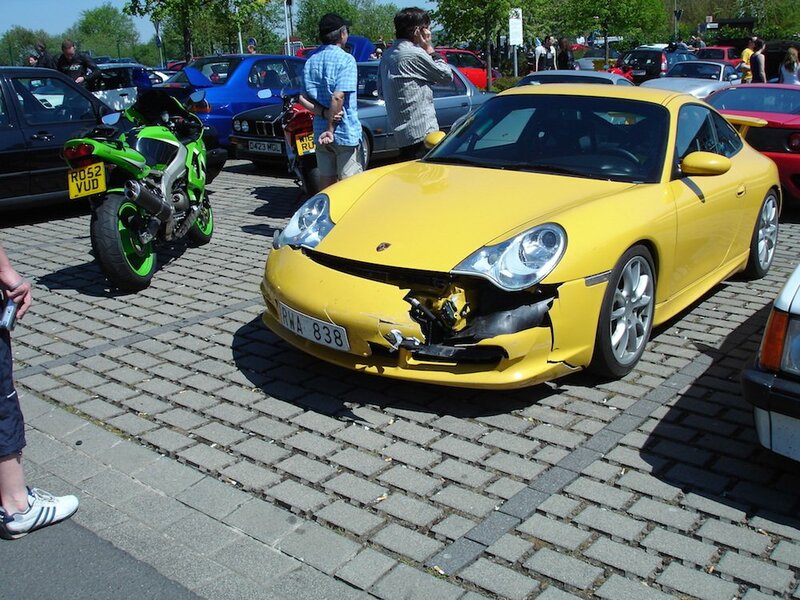 Of course, the worst way to see the ‘Ring is from the back of an ambulance, and while the staff at the Krankenhaus in Adenau are very friendly, there’s only so many broken bikers they can patch up before their sympathy starts to wane. • Oh, and don’t accidently go to Nuremberg, which is hundreds of kilometres away in a different part of Germany (although you wouldn’t be the first). Kevin Turner is a freelance writer and author of two travel books, Bonjour! Is This Italy? 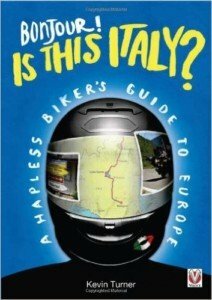 A Hapless Biker’s Guide to Europe and From Crystal Palace to Red Square: A Hapless Biker’s Road to Russia. Kevin will be donating his royalties to Shropshire and Staffordshire Blood Bikes (SSBB), his local group of life-saving riders, for all book sales from 1 November 2016 to 30 April 2017. Click on the books below to buy from Amazon. Is buying a Cat C or Cat D bike a good idea? 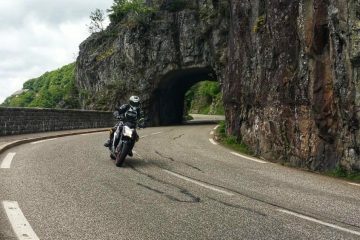 Kevin is a freelance writer, columnist for Motorcycle Explorer Magazine, and author of two travel books, Bonjour! Is This Italy? 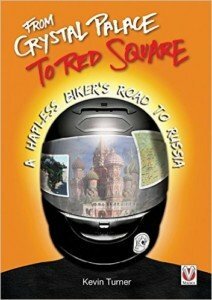 A Hapless Biker’s Guide to Europe and From Crystal Palace to Red Square: A Hapless Biker’s Road to Russia. Despite his love of travel, Kevin stoically insists on riding an ’02 Ninja. He has cherished the bike - worth less than a good set of leathers - for over a decade; it's getting to be embarrassing.